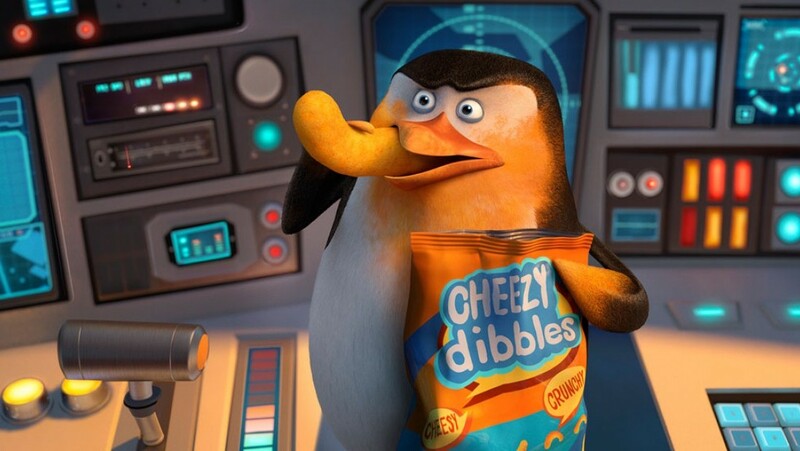 Penguins of Madagascar has giggles and chuckles enough to satisfy those looking for a mild diversion. Sadly, It leaves animation fans who love the penguins from previous movies feeling disappointed by frenetic plotting and decidedly inconsistent character development. The whole adventure plays like it started out targeted to adults only to be audience-tested to death using pre-pubescent kids with short attention spans. Careful, DreamWorks, manipulating kid-focus has proven a hard egg to crack, and done without expertise risks losing potential loyalty or positive word of mouth from anyone over 12. To be fair, the first 15 minutes or so give the impression the whole movie is going to be a slam dunk. Any film using Werner Herzog as a documentary narrator seems promising in my book. Unfortunately what the audience is in for is uneven to say the least, as it vacillates between hilarity and the sort of head-shaking ADHD meanderings that are at once boring and dizzying. This is a shame. The quartet at the heart of the story are so amusing and well balanced as a group they almost pull the movie off in spite of the film’s shortcomings. The penguins from the former 3 films, Skipper (Tom McGrath), Kowalski (Chris Miller), Rico (Conrad Vernon) and Private (Christopher Knights) are the center of a story in which they join undercover organization The North Wind to stop the villain Dr. Octavius Brine (John Malkovich) from wreaking havoc on the world based in a twisted plan of revenge. The aspect of Penguins of Madagascar that is by far the most successful and winning is voice actors McGrath, Miller, Knights, and Vernon, who play the tuxedo colored quartet, and are, in fact, known for voice work. Their characters were supporting players in the first three Madagascar films, which touted high profile live action actors voicing the leads. As is often the case, the secondary roles are filled with the best character voiceover actors in the field. It is truly a delight to see them carrying the movie. Anyone paying attention notices just what a difference a performer that specializes in voice work can make to an animated film. In Penguins all four leads really show themselves to be the top of their craft. Timing, is, indeed everything in animation and a great voice artist makes a funny line hilarious. It is in this way these actors compensate for a spotty script that smartly leans heavily on the penguins and does little to develop or showcase the new characters introduced in this film. That being said, Malkovich’s Dave is a villain full of quirk and flamboyance that takes full advantage of his scene-stealing and scenery-chewing proclivities. There’s a running gag where he uses puns that buoys any scene in which they are used. Less successful by half are the secret agents of The North Wind, most notably Benedict Cumberbatch’s husky hero Classified. Through no fault of the actor, his character goes nowhere and creates little interest with the audience. The screenwriters must have depended a bit too heavily on the Cumberbatch Effect, and while his mellifluous voice does draw aural attention, it isn’t nearly enough to incite connection to a sketchily developed character. What a disappointment to those who would have loved to see Cumberbatch memorialized as an animated character worthy of his magnetic charm. One potential draw to Cumberbabes is the actor’s perpetual inability to correctly pronounce penguins. He repeatedly pronounces the word “PENGWINGS”. This was ‘a thing’, long before this movie came along. One wonders if the powers-that-be decided to let sleeping birds lie, and allow his mispronunciation to continue. Would that each moment Classified is onscreen could have been written with dialogue and action unique and memorable enough for fans to embrace. This is another opportunity squandered. 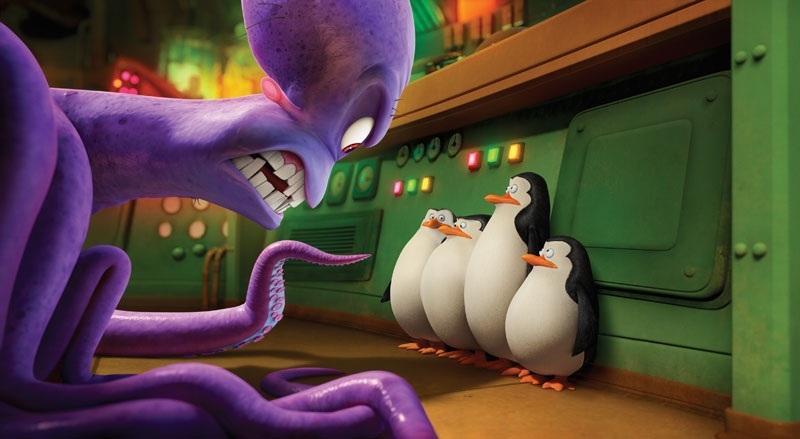 Penguins of Madagascar is a passably entertaining time at the multiplex, with inspired moments offered by the four lead penguins. Really, though, it is only worth the time of steadfast fans of the Madagascar franchise. All others looking for a great animated time at the movies this weekend should go see Big Hero 6. 2 1/2 out of 5 stars.